Looking to play a round of golf? This region has tons of award winning golf courses that can be played at a very reasonable cost. There are many courses to choose from depending on what you are looking for. Hiland Park Country Club is rated as a 4 star course by Golf Digest. It is a public course that is located at the foot of the Adirondacks and offers all the luxuries of a private club. The par 72 course was previously the host to the NYS Open Championship. The club offers daily public rates, golf outings, and seasonal membership packages. Want to step up your game? 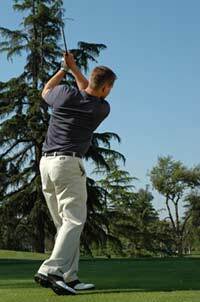 There are golf instructions and clinics for all levels of golfers. No matter your ability they will help you improve. There is also a banquet facility that can host up to 300 guests for special events and business meetings. This course is located off exit 20 of the Northway. You can play 18-holes near Lake George and be surrounded by the Adirondack Mountains. On the premises they have a driving range and a putting green so that you can perfect your game before you tee off. They also offer a lunch menu, full bar, and a cocktail lounge. Opened in 1912, this 18-hole course has a par of 71. The course has managed to maintain its pristine Adirondack beauty. On the premises there is a private lake which attracts wild life form around the area. In order to preserve this wildlife the course is also an Audubon Cooperative Sanctuary. This ensures that you will have an authentic Adirondack feel as you make your way through the course. Head over to Hudson Falls for this 18-Hole Championship Golf Course. Take in views of the Adirondacks and Vermont Green Mountains as you tee off. The course is both beautiful and challenging to play. Golfers of all levels are sure to enjoy. Looking for a quick round? Try Sunnyside Par 3 of Bay Meadows. Both are located right in Queensbury and offer a 9-hole course. Get your golf fix quick! Also check out Airway Meadows in Gansevoort or Country Meadows in Fort Ann.